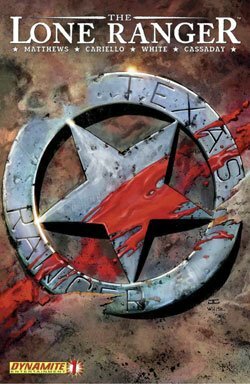 Anybody that reads this blog knows my love for western comics and westerns in general. 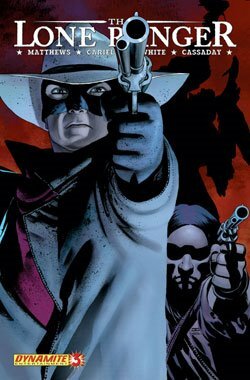 So it is my great pleasure to hear that Dynamite Entertainment is bringing back the big gun of western characters- The Lone Ranger- this week in a new ongoing comic series. So far it looks to be a great take on the masked lawman! When I was just a little dude, I used to watch the old TV show every Saturday morning with my older brother whenever it would come on and enjoy the hell out of it. I even had the full Lone Ranger cowboy getup that I used to run around in one halloween. Let me tell you, nothing is more frightening than a 4 year old me dressed up as TLR riding the Black Lab dog like a horse and calling him Silver…. Brought To You By The Number Six…. Tricia just won a prestigious Leo Award for her performance as Number Six on Battlestar Galactica! Tricia hosts the Canadian TV show- Canada’s Next Top Model- when she is not busy filming Battlestar Galactica!